A suitcase is not just a functional item to carry your clothes in, but a fashion statement in itself! Of course, you need to tick the function boxes first and foremost, and when finding the best suitcases for travel it’s always best to first check out the travel suitcase reviews online, because this will give you a much better idea of what you’re spending your precious cash on. You shouldn’t only look at how much you can fit in the case, however, because you need to check other areas too, such as wheels, are they spinner or one direction, is it lightweight or standard, does it come with TSA approved locks? These are just three questions you need to ask yourself when trying to find the best travel suitcase for your needs. Thankfully, we will take the hard work out of the task for you, reviewing some of the best suitcases on the market, and giving you all the pros and cons of each; this allows you to make your decision in a fully informed way, cutting down on costly mistakes. 4 To Carry On or To Check In? We’ve prepared the following comparison chart of the top rated suitcases we have researched and/or used to help you find the best one. 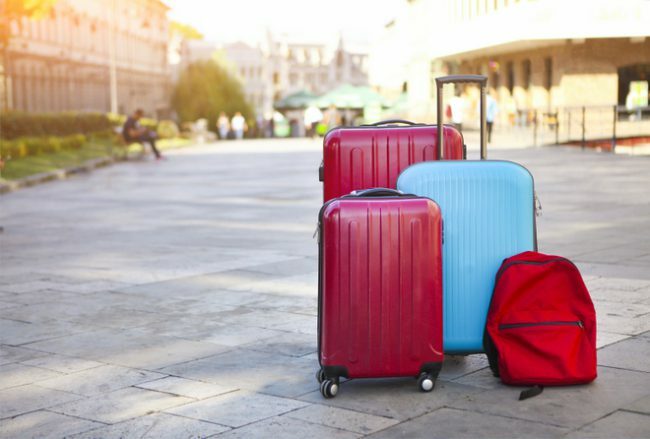 Buying a suitcase can be a complicated business, because as we mentioned above, you need to think about several areas before deciding on your final choice. 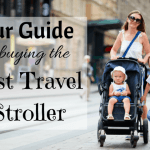 We are going to go over the main areas to think about, helping you find the best travel suitcase for your needs, whether you’re off on an around the world adventure, or you’re taking the kids on a beach vacation. Of course you need to think about weight in terms of airlines, but you also need to think about size too. If the suitcase is too small you can’t fit everything in you need – you’re not Houdini! The best small suitcase will carry you through a long weekend, or perhaps a five day vacation, but anything more than that will require a larger case. Think about what you want to pack, and be realistic in terms of how long you’re going to be away for. 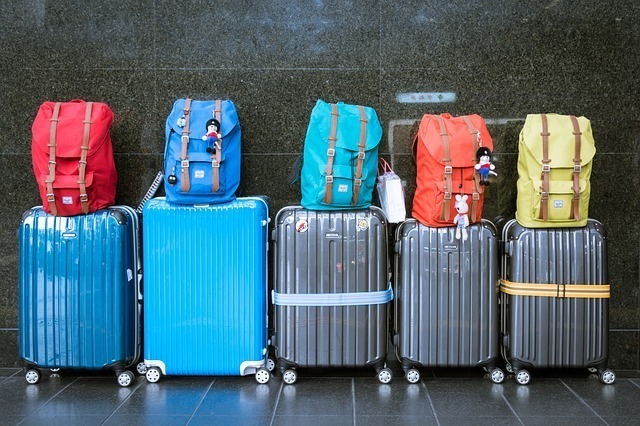 If you’re simply taking a case as carry on luggage, you also need to check your airline restrictions in terms of suitcase size. If you find it hard to travel light, or you’re heading away for a longer time, then you need to check out the best lightweight suitcase for international travel, because that way you can take much more in your case, without having to pay excess charges. Older suitcases can weigh anything up to around 5kg without anything inside, and that cuts down on your allowance quite dramatically. Of course, whether the case has wheels or not, dragging an extremely heavy case is not comfortable, so a lightweight case is probably preferable here. 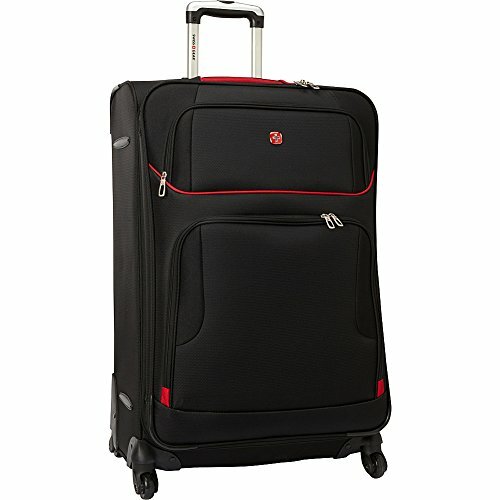 The most up to date and good quality suitcases nowadays have four wheels which are spinner type, e.g. they move in all directions and you can therefore turn a corner without having to stop, move the case, and attempt the corner again! You will still find cases which have two wheels, but this is a personal preference; most these days do have four. If you are using a train for travel, four spinner wheels is ideal, because busy train platforms are not the place for stopping and starting! Most cases will usually have a zipped expander section, and this increases how much you can fit into your case. You will probably find you are more restricted with cases that don’t have this function; if you’ve ever found your case bulging and you struggle to zip it up, an expander section would have solved your problem. If you are using a hard case, a zipped expandable section is a major benefit, because we know that hard cases aren’t as moldable as a fabric option. The best lightweight suitcases on the market still have this option too. If you want to be ultra-organized, you need to look for a case which has either internal or external pockets to organize your belongings. You may find that most lightweight cases have an external section with one or two pockets on the top, but inside you may find mesh zipped pockets for keeping items flat. 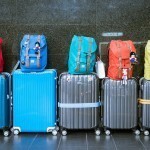 This is something you need to look into for organizational purposes, and the best suitcases to buy will offer you this. You will no doubt have heard of Samsonite before, and this is without a doubt one of the top suitcase brands around. The company has a fantastic reputation, and that gives you peace of mind when you’re buying such a large piece of travel equipment. You can choose across a large range of products, such as lightweight, wheeled, non-wheeled, soft, and hard cases. All products are typically hard-wearing and cost effective. 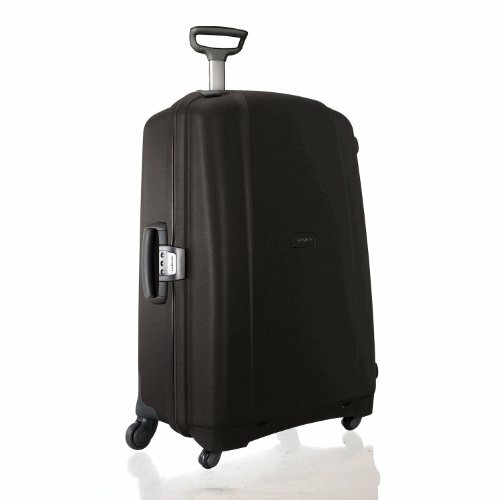 American Tourist is a great budget range which offers good suitcases for travel, at lower prices. Choose between hard and soft cases, with different sizes available. The company are known for durable, reliable luggage, so you know you are making an investment, for a lower cost. If you’re looking for a hard case suitcase then Delsey offer you a fantastic range, with some seriously positive reviews to boot. Soft cases are also part of their product range, but there is a definite focus on more solid luggage. This is one of the good suitcase brands to try for both long and short trips, and again, the product range is large. 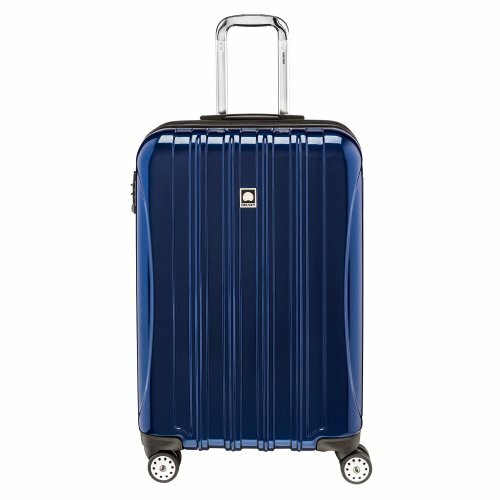 Travelpro offers top suitcases in the soft niche, and they are known to be lightweight and extremely durable. This has many advantages, not least saving you travel weight and cutting down on excess luggage charges. 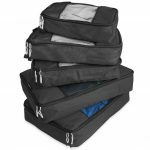 There are hard case bags available in the range, but check out their lightweight soft cases for serious cost saving opportunities. 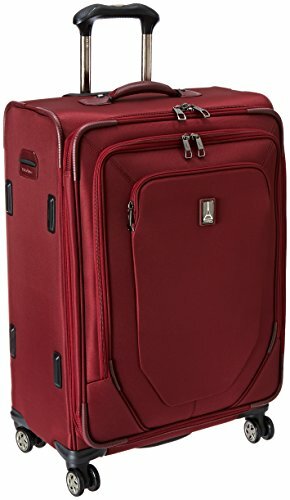 There is an argument that you get what you pay for, and when you have tried one of SwissGear high end suitcases you will understand that argument perfectly. All budgets are catered for but if you can afford to spend a little more then you will find that SwissGear offer some seriously high quality products, which are probably the best suitcases for air travel, rivaling Samsonite. To Carry On or To Check In? 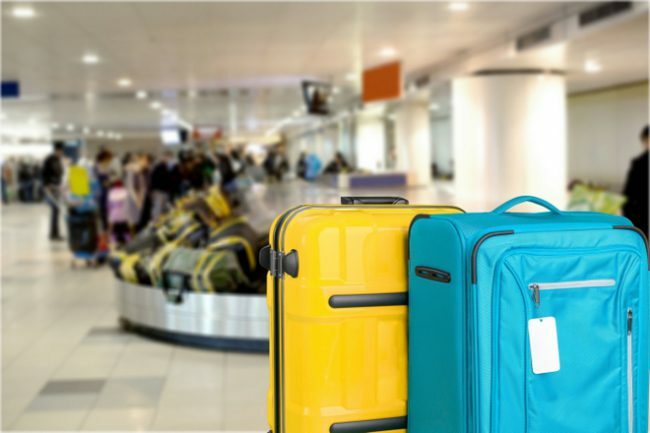 The argument will probably continue to rumble on, as much of this is down to personal preference but what are the pros and cons of carry on luggage versus check in? 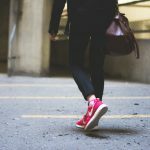 Whichever you go for, be sure to check your options in terms of the best carry on suitcase for business travel versus the best suitcase for international travel in general, because the type of travel trip you’re going on really dictates which air travel option you have to bend to – sometimes carry on is just not feasible. There’s a lot of options with luggage so think about what things are important to you. Big named brands bring confidence, and we have already explained the benefits of choosing a Samsonite option. 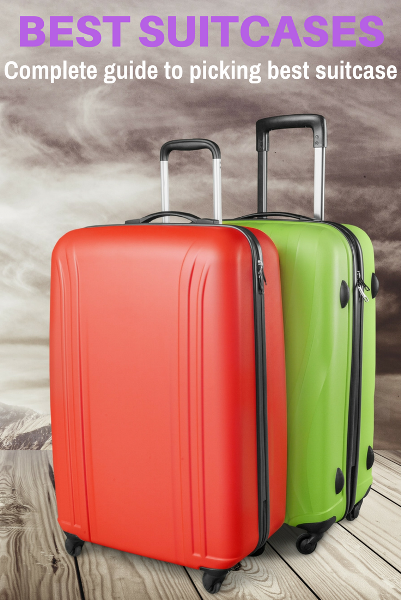 This particular product is certainly one of the best rolling suitcase options on our list, and it comes in many different colors, to make your case stand out as you’re grabbing it from the overhead compartment. This is hard-case, made of polycarbonate, and has a fabric lining to keep your belongings safe, with tough zipper closure. The case itself looks attractive, and has plenty of room inside for everything you need for a short break, be it business or pleasure, including organization pockets to keep everything in place. There is a side mounted TSA lock, to comply with airline rules, and it is also a lightweight option which doesn’t scratch easily. This is certainly one of the best brand suitcase choices on our list, and the best for carry on with most large airlines today. Travelpro is another name you can trust, and this is also a particular affordable choice for regular business travelers. Choose between professional black or red, safe in the knowledge that your belongings are protected and safe. 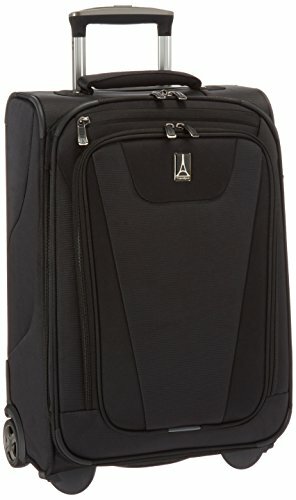 This is an expandable spinner case, making it certainly one of the best carry on suitcase for business travel options, because you can move it around with ease. The handle is also contoured for extra comfort and the wheels are built to last. The best business suitcase for your needs should also keep all your clothes flat and crease-free, and this particular option has buckles to keep everything in place, whilst also being built to last. 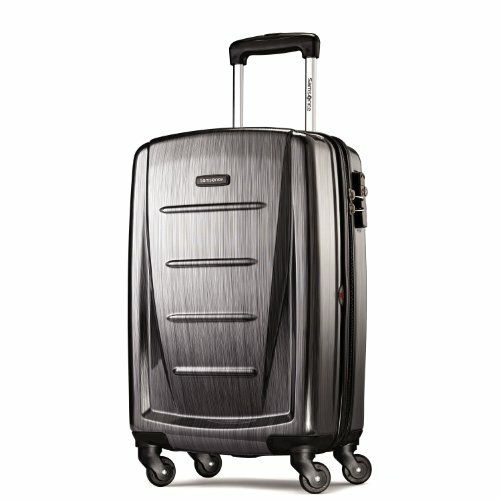 Travelpro products are durable and that’s what makes this one of the best business travel suitcase choices. Any Samsonite choice should not be a difficult one, and this is certainly the best hard suitcase on our list for long travel adventures. If you need to take a lot of belongings with you, this is the case which will give you not only space and little weight, but also organization too. Choose between silver or metallic blue, certainly looking the part, this is a sleek case, which is made of 100% polycarbonate and is built to absorb any impact, which we know can happen when your case is being transferred onto the luggage carousel! 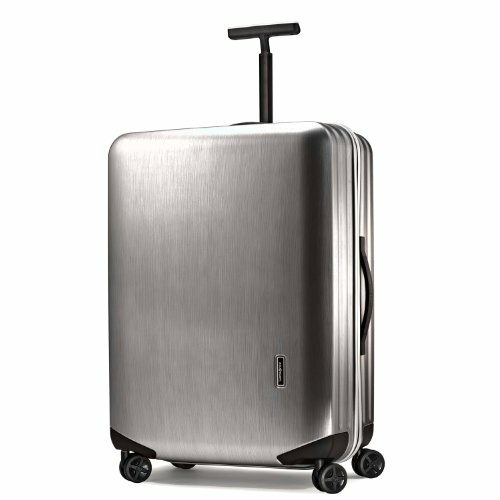 The wheels are 360 degree spin wheels which glide over any surface, and when you have a lot of weight inside, that is an extra bonus, making it one of the best roller suitcase options we have discussed. On top of this, your case comes with a three digit TSA approved lock, so no worries about breaking of locks if your case is spot-checked. Lightweight suitcases for international travel are ideal, because you can pack in everything you need, and you don’t have to worry as much about the mounting weight; a lightweight case can sometimes give you as much as 4kg extra, compared to a regular case. This particular options is ideal, and is also available in many different colors, to make it stand out on the luggage carousel, whilst also being much easier to lift on and off. This is a hard case, made of polycarbonate, and has a fabric lining to keep your belongings safe and secure, whilst being highly resistant to cracking or breaking. The wheels are double spinner, so you don’t have to worry about getting around with any difficulty, and the large capacity also expands to an extra 2”, so no worries about not being able to take your favorite pair of shoes or an extra pair of jeans! When you are traveling overseas you need to really think about the best suitcases for flying, because you need to comply with lock regulations, whilst also ensuring you have plenty of space to fit in everything you need. This particular Samsonite product ticks those boxes, because it comes with a side mounted TSA-approved lock, as well as 10 zippers which are oversized for easy grabbing. The case also expands to give you extra capacity, if need be. Again, this is another hard case, with a soft fabric lining and organization pockets inside, to keep everything where it should be and easy to find. The outside of the case may be hard-cased but it is designed to absorb any knocks or impact, and pop back out to shape, so no worries about breakages or dints whilst it is being thrown (sometimes literally) onto the luggage carousel, or whilst in transit. 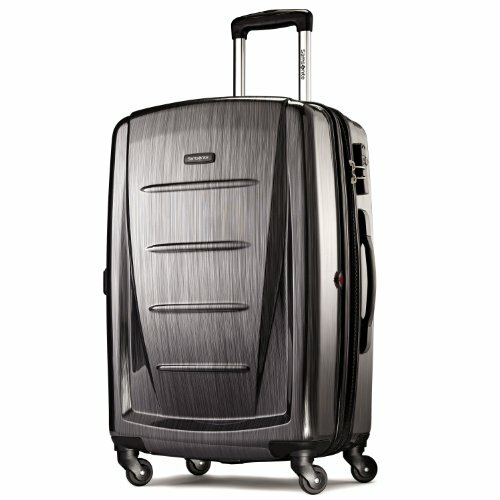 This Samsonite choice is our best large suitcase for international travel. Ladies, this is one of the best quality suitcases on the market for your travel, and again, we have that big named brand we all know and trust. Great suitcases should be easy to spot on the carousel, pack in everything we need, and meet all safety regulation, which is what this particular case does. This is another hard case, which comes in several different pastel colors, easy to spot on the luggage carousel when you arrive at your destination, and is also large and sturdy, without being too bulky to carry. The wheels are spinner, moving in all directions and the side handle makes it easy to lift the case without problem. The locks are also TSA-approved, and there is an ID tag built into the handle. This case will certainly fit in everything you need, and it is a lightweight choice, which gives you extra space for another pair of shoes! This Kenneth Cole option certainly looks the part, despite it being a cheaper option, perfect for those on a budget. You can choose between our particular pick, the 20” option, or you can go for a slightly larger 28”, whichever fits your needs. If you want to buy both, there is a two piece set available. Choose from lots of different colors, but this case is another hardsided one, whilst remaining lightweight. The spinner wheels are 360 degree turn, and the interior has plenty of organizational sections, to keep everything where it should be, including garment holders, zipper pockets, U shaped large zipped pocket on the lid, and an elastic shoe pocket too. The handle is retractable to different heights, and is padded for comfort and easy grip. This is certainly one of the best value suitcases on our list, and one of the best rated suitcases too – ideal if you are on a budget. 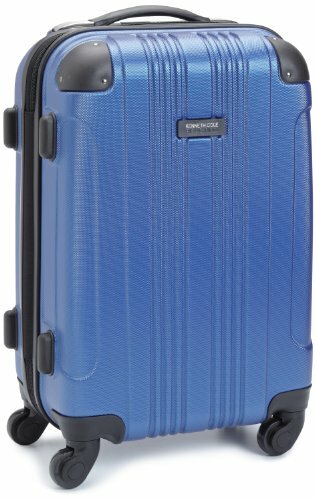 Travelpro have some fantastic cases in their product range, and this particular 22” option is one of the best rated suitcases on the market today. 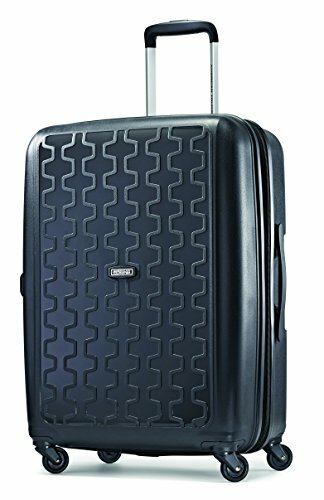 If you are looking for good suitcases for international travel, you should consider this one, because whilst it is cheaper, ideal for those on a budget, it doesn’t scrimp on quality. Available in many different colors, this is a soft sided case, which is made of 100% polyester, and has a soft fabric lining, with strong zipper closing. The handle is telescopic and locks at two different heights, making it easy to pull along whether you are taller or smaller. The wheels are in-line in variety, and the outside is also water resistant, so no worries about your clothing getting soggy in the rain whilst transporting your case from A to B. You only have to check the best suitcase review listings online to see this one is always featured. This is a lightweight bag which is ideal for traveling families or for longer journeys, and certainly a high quality suitcases which will suit many different needs. You have a medium hardsided case with a high quality and attractive exterior with an edgy design, which makes finding your cases on the carousel easy. The wheels are spinner, and the case has four wheels. The case is lightweight and is scratch resistant will last you the test of time. The interior features organizational pockets, with dividers and elastic criss-cross straps to keep everything in place. This is certainly one of the best suitcases brands on the market, and this product is a quality case, which is multi-functional and is ideal for families, couples, business travel, or for longer trips. Finally we have another high quality Samsonite product on our list, and this is certainly the best brand suitcase option around; as we have mentioned Samsonite are top quality no matter what product you choose. This particular case is a spinner option, which comes in four different muted colors, for style and ease of recognizing on the carousel, and is a fabric case, so is ideal for pushing a little extra inside, without having to worry about too many restrictions, provided you are within your weight limit of course! The durable material is highly resistant to tearing, and the 360 degree spinner wheels makes moving this case around very easy indeed. The telescopic locking handle is molded for comfort, and if you need another excuse to invest, you can expand the case by an extra 1.5”, to give you more room for your belongings. What do you look for in the best suitcase? 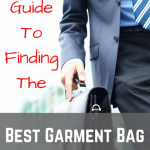 You can read more luggage guides here including our guide to the best carry on luggage, best garment bags, best toiletry bags and best lightweight luggage.